As we just revealed at The Game Awards in Los Angeles, CA, our next big game update, 'Starbase ARC,' is coming to PC, PlayStation 4, and Xbox One next Wednesday, December 7! 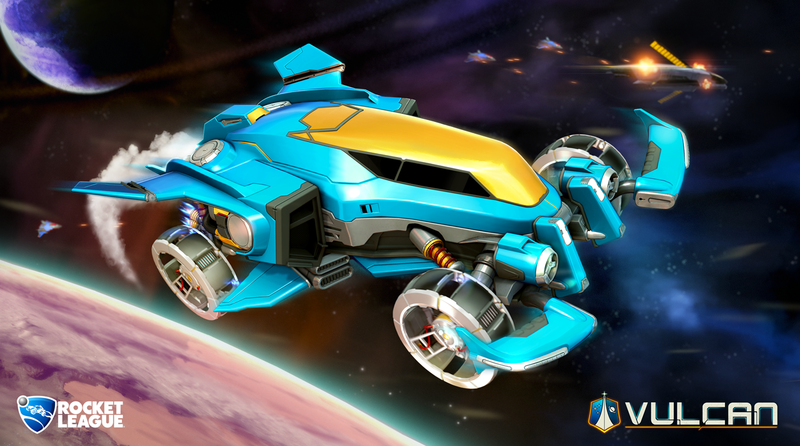 In addition to the FREE 'Starbase ARC' Arena, we are also releasing a fantastic new premium DLC Battle-Car that comes complete with animated wings and a sleek, futuristic look. Expect to to see it for $1.99 USD or regional equivalent day-and-date with the Arena on December 7. As you may have heard last week, Steam Workshop support is also coming to Rocket League with our next update as well! 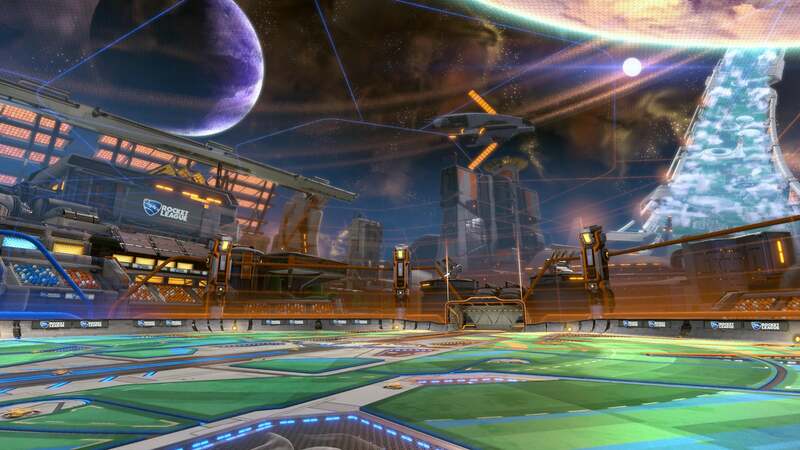 PC, Mac, and SteamOS players will be able to upload custom levels they have built to the Steam Rocket League Community Hub! This is a feature we’ve wanted to implement for a long time and we’re excited to see what you can come up with. While you wait, be sure to check out our preview blog and Steam’s excellent knowledge base as your imagination starts to stretch. We’ve been really encouraged by the great work our PC modding community has done (as you could probably tell from our previous blurb), and that's motivated us to introduce our own ‘Custom Training’ feature on ALL platforms that allows you to create your own drills specific to your play style. Want to make your own Wall Shot exercise or hone your dribble game? You can do it! You can also 'Browse,' 'Search, Favorite,' and 'Share' other training sequences from the community. Expect this feature to grow in subsequent updates. You've been asking for something like this for a long time, and we're happy to report that ‘Arena Preferences’ are coming to the Playlist menu next week as well! With this new feature, you have a limited number of 'Likes' or 'Dislikes' that you can assign to the Arenas of your choice to increase or decrease your likelihood of playing them again in online matches. You can apply these preferences to all game types, but if you want extra control, you can fine-tune your 'Likes" and 'Dislikes' per playlist. The Champion Series continues with the all-new exclusive Garage items to help fund our esports initiative! 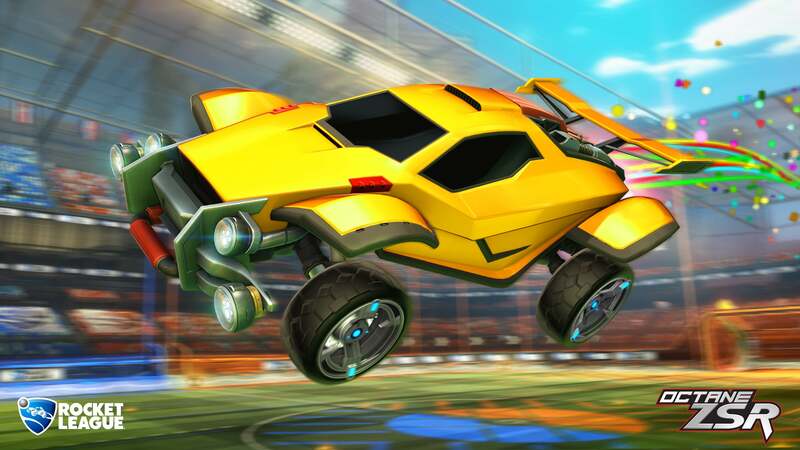 Use Keys to potentially unlock the highly-request import Battle-Car, 'Octane ZSR!' 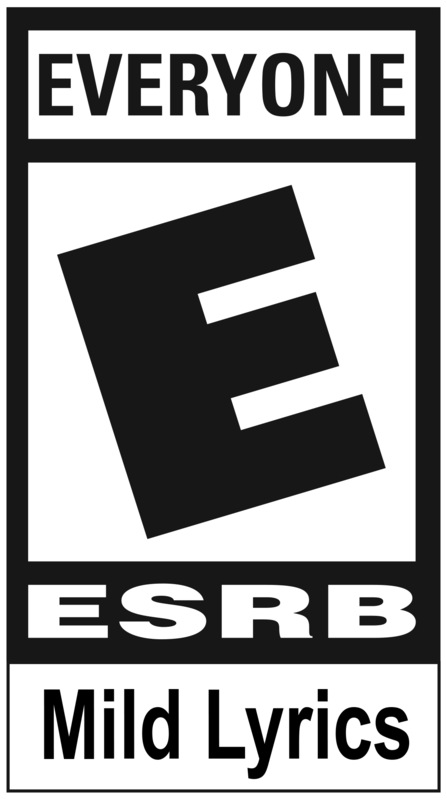 Of course, the ZSR still has the same hitbox, physics, and turning radii as the iconic original car found in our logo. For a few more looks at the possible contents of our next crate, visit the official Starbase ARC landing page and check 'em out. 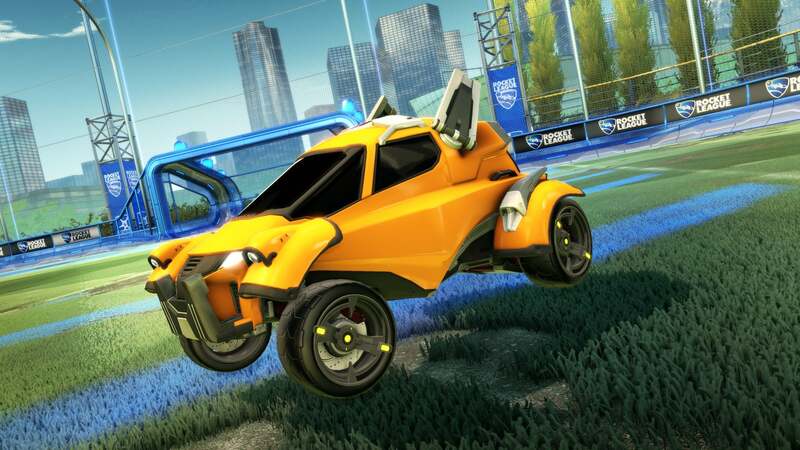 It's the season of giving, which means that it's the perfect time to add to add a fresh new look to a pair of classic Rocket League Battle-Cars. This time around, we're updating X-Devil and Gizmo with streamlined new bodies and an artistic recharge to their original Decals. But don't worry about how they'll work in-game, as we're keeping the exact-same handling and hit-boxes that they had before. 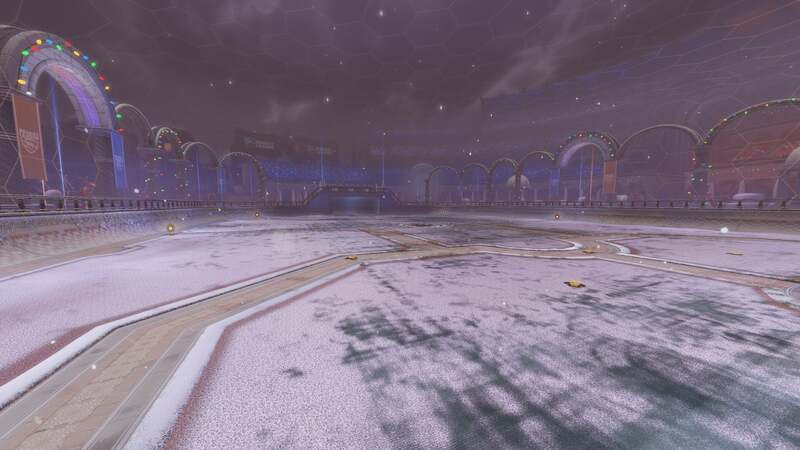 In addition to the two new car updates,' two classic arenas will also receive new variant versions, with “Wasteland (Night)” and “Utopia Coliseum (Snowy)” dropping into Exhibition and Private matches, plus all Ranked Playlists. As with every update, several Community Flags will be added to your Garage for FREE! These include the Noclip Community Flag, Vikkstar123, SDMN, and NZXT Antennas! Check them out when the update hits and wave them with pride on the pitch. On a related note, you should definitely check out the Noclip’s two-part documentary on ‘The Story of Rocket League’ -- we loved it, and so will you! Also, check out our FREE Holiday items. They will drop through the holiday season and end on January 2. We’ve also responded to the community feedback and added a ‘Color Blind Mode’ to the ‘Options’ menu. When the update hits, high-contrast Orange and Blue shades will be available alongside High-Contrast Nameplates so that players who may see the world a little differently can play like everyone else. Those are the top-level items we have to share about 'Starbase ARC,' but there are still more revisions and fixes planned for the final release. Be sure and watch our official Starbase ARC landing page for the full patch notes when the update hits on December 7. Don’t forget to share your thoughts about the update via Twitter, or Reddit. See you again next week!